October 8, 2016 By This post may contain affiliate links. 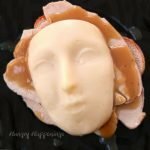 Mashed potatoes form an eerie face that sits atop a gravy covered turkey sandwich in this clever take on an open face sandwich. This meal will surely creep out Halloween party guests. Imagine looking down at your meal and seeing a human face staring right up at you. Would that creep you out? 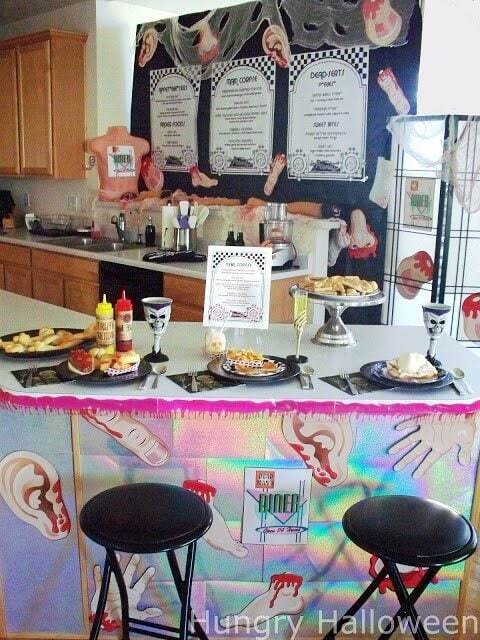 It did creep out some of my party guests the year I hosted a Dead Man’s Diner party, but for the most part everyone thought they were really cool. I can assume being you are still here reading this post that this gruesome meal hasn’t made you squirm too much. This meal is simple to make using a face mask candy mold but it’s important that you follow the instructions for making the mashed potatoes. When I developed this recipe I tried using homemade mashed potatoes and store bought mashed potatoes and neither of them worked. You have to use potato flakes. I was really hesitant at first because I had never had mashed potatoes made from potato flakes and figured they wouldn’t taste very good. I found that by adding chicken broth, butter, and heavy whipping cream to the potato flakes that they taste quite good. They have a different texture than homemade mashed potatoes which is what makes them perfect for this project. I kept my mashed potatoes naturally colored but if you want yours to have a flesh tone then go ahead and stir in some orange cheddar cheese while the potatoes are hot. Speaking of hot potatoes, your potatoes must be hot when you shape them in the mold so that they slide out easily. When I served these at our party I poured a thin layer of chicken broth in the bottom of a slow cooker then added the prepared mashed potatoes and kept them hot. When I was ready to serve the sandwiches, I stirred the broth into the potatoes and made my faces. It worked great. Making the mashed potato faces is really easy but I thought it best to show you the process in a video. The recipe is below. To make the mashed potato faces, you’ll need a face mask candy mold (affiliate link). Mashed potato faces turn an ordinary open faced turkey sandwich into a creepy Halloween meal. In a medium saucepan bring chicken broth, salt, and butter to a boil over high heat. When it comes to a boil, stir until the butter melts. Remove from the heat and stir in the heavy whipping cream. Stir in the potato flakes until smooth and creamy. Place a slice of bread on a plate. Set some slices of turkey on top. Spray the face mask candy mold with cooking spray. Spoon hot mashed potatoes into the face mold. Make sure the potatoes fill the mold completely, being sure to fill the nose. Carefully turn the mold upside down right over the sandwich and the potato face will slide right out onto the turkey. Spray the mold with more spray and make another sandwich. 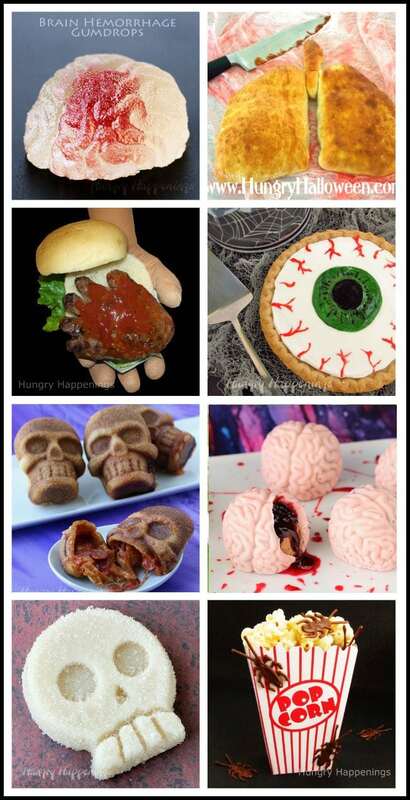 If you like these creepy Open Face Sandwiches you’ll probably enjoy these other gory Halloween foods.